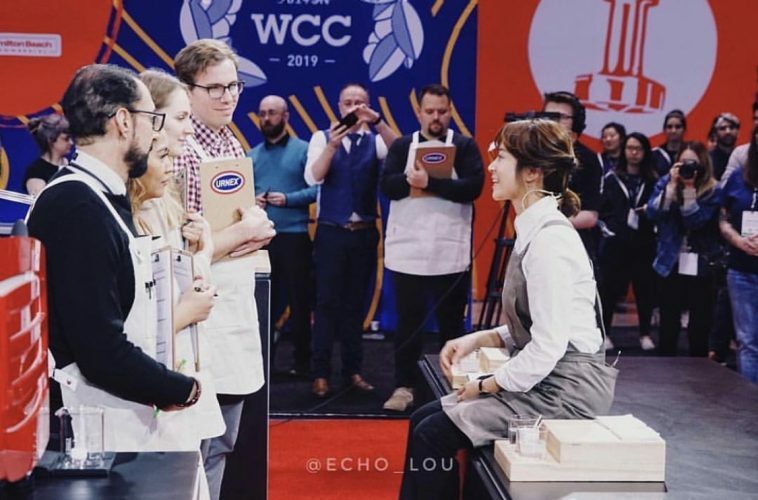 “There’s never been a better time in history to drink coffee…” began Jooyeon Jeon, of Momos Coffee, South Korea and the now reigning World Barista Champion. By freezing and melting the milk she changed the carbohydrate content, increasing from five percent to eleven making it sweet, nutty and creamy. A roasting time of ten minutes for her espresso preserved necessary carbohydrates yielding flavors of blackberry, grapes, plum and blueberry jam. For her signature beverage she explained the inability to taste polysaccharides and sucrose, main sugars in coffee due to it being decreased to one percent, in roasting. She built her signature beverage with a process that reintroduces the structures of sugar and glucose back into her drink. She delivered a drink with notes of black cherry, winey sensation, and the fruit flavors of her espresso reminiscent of sangria. 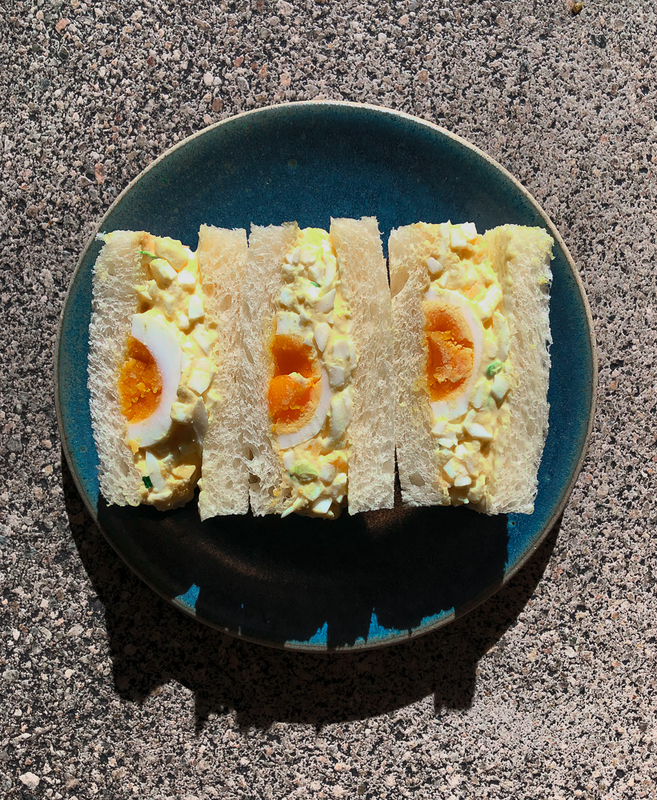 2.The Japanese influenced sandwich store, Konbi, who’s been opened for six months in Echo Park, made its Coachella debut with cold sandwiches and cold brew courtesy of Camber Coffee. 3. 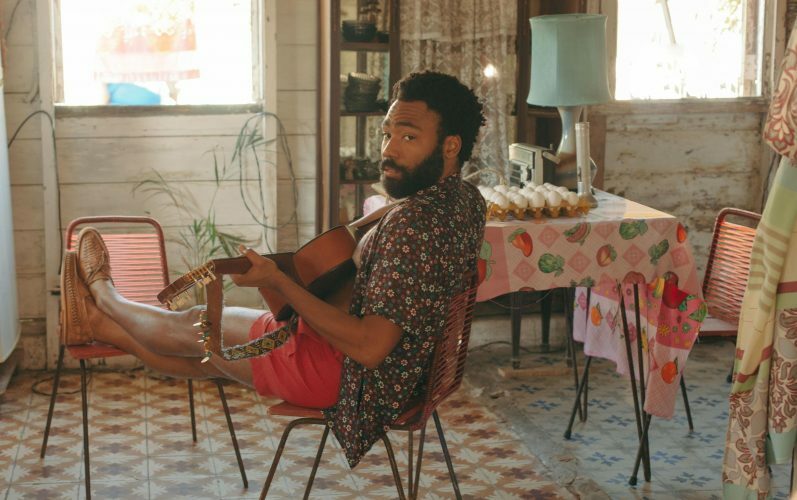 Donald Glover, actor and star of Atlanta, who is also known as musician Childish Gambino, played Coachella and then streamed his musical film Guava Island about a musician determined to throw a music festival. Donald Glover in a still from Guava Island, which he stars in with Rihanna. The film premiered at Coachella, where Glover’s musical act Childish Gambino headlined on Friday. The culture loves the meta of both, as well as Guava Island’s opening prose which tells a story of an island whose time started before coffee beans, “A very very long time ago, long before the birds, cars and even coffee beans the seven gods of the seven lands created the dueling truths, love and war.” Featuring Deni as Glover and Kofi -played by Rihanna- whose name sounds like coffee is worth the 55 min running time. 4. Steeped, a company that makes coffee like tea, with a single serve bag to steep, won best new product at Specialty Coffee Associations Expo Event in Boston. Sustainable coffee indeed! 5.Augusta National Golf Club hosts Augusta National, one of the most famous Masters in the nation. Tiger Woods won his first masters at Augusta National in 1997 and became the first person of color to win to do so, taking his fifth win twenty-two years since his first and twelve years since his last win in 2008. He secured a bag of $2,070,000. 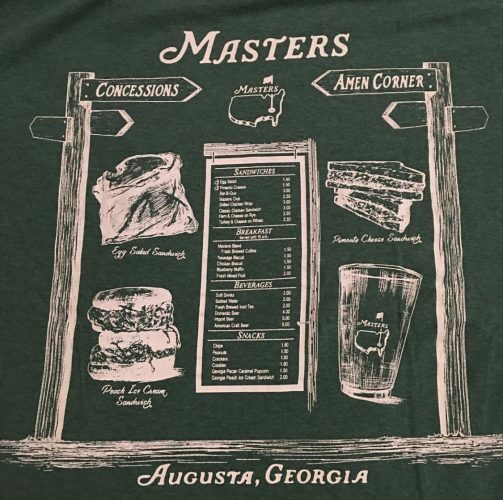 With an initiation fee of $40,000 a brewed coffee on the Masters menu at $1.50 it looks like golf and coffee is winning. This entry was posted in current culture and tagged atalnta, camber coffee, childish gambino, coachella, Donald Glover, echo park, guava island, jooyeon jeon, konbi, la palma y el tucan, rihanna, sea boston, specialty coffee, steeped, stepped. Bookmark the permalink.